Hello, everybody. It's good to be with you again. 리오라 선생님, 올해 새해 다짐은 무엇이었지요? My new year's resolution is to save more money for retirement. 흔히들 먹는 게 남는 거라는 말을 하는데, 한 푼 저금하는 게 한 푼 남는다는 말이군요. That's about all I’ve saved so far. 그럼 오늘은 돈에 관한 이야기를 좀 나눠볼까요? I would like to talk to you a little bit about some US dollars and US currency. In US currency, there are dollars, which are paper money; and then there are coins. The most frequently used coins are the penny, the nickel, the dime and the quarter. And the penny, which is equal to one cent. The nickel, and it is 5 cents. The dime, which is 10 cents. And then the next one is the quarter, and that's worth 25 cents. You don't see very often the 50-cent coin. And then of course there’s $1 coin. 관광지에는 페니를 눌러서 기념품을 만드는 기계들이 있지요. 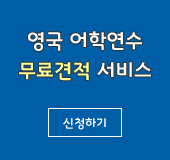 기계에 1센트짜리 동전 하나하고 25센트짜리 동전을 몇 개 넣으면 관광지의 이름과 관광지 그림을 넣어서 둥글 납작하고 길쭉한 기념품이 나오지요. 그리고 동전을 자세히 들여다보면 발행된 연도 옆에 P, D, S 와 같은 아주 조그만 글씨가 새겨져 있습니다. Yes, you know what that stands for? On this one, and on the front of the coin, there is a little small D by the head. That means that this coin was made at the Denver Mint. And the D stands for Denver. Let’s talk a little about bank notes, the dollars. In the United States, there's a lot of restaurants, especially in Florida, if you go there, you're supposed to take their stapler and staple a dollar bill to the ceiling or to the wall or everywhere around the restaurant. And I've always wondered how much money is really there in the restaurant and if the owners, I guess, they get to keep that if the restaurant closes. But a lot of people write their names on the dollar bills. And it's very interesting to look around at the ceiling and the walls and see all the dollar bills that are stapled. Sometimes, you'll see a $2 bill. 돈과 관련된 영어 표현들이 많지요? There're a lot of expressions about US currency and expressions that deal with money and saving money. 아까 말한 대로 1센트 저축하는 것이 1센트 버는 것이라는 표현도 있고요. 그리고 뭔가를 결정해야 할 때 주사위를 던져서 정하는 경우도 있고, 동전을 던져서 결정을 하는 경우가 있죠? Yes, you can flip a coin to break the tie. You call heads or tails when you flip a coin. Let's flip a coin to decide who goes first. 10센트짜리 동전 ‘dime’에 관한 다른 표현이 있습니다. ‘a dime a dozen’이라는 표현인데요, 12개에 10센트라는 말이므로 아주 흔하고 저렴하게 구할 수 있다는 의미입니다. That’s a dime a dozen. 웰컴투아메리카, 오늘은 돈에 대한 이야기를 나눠봤습니다. 지금까지 저 박형권, 그리고 초대손님 리오라 앤더슨과 함께 하셨습니다. 다음 주 이 시간 다시 찾아 뵐 때까지 행복한 한 주일 보내시기 바랍니다. 안녕히 계십시오.